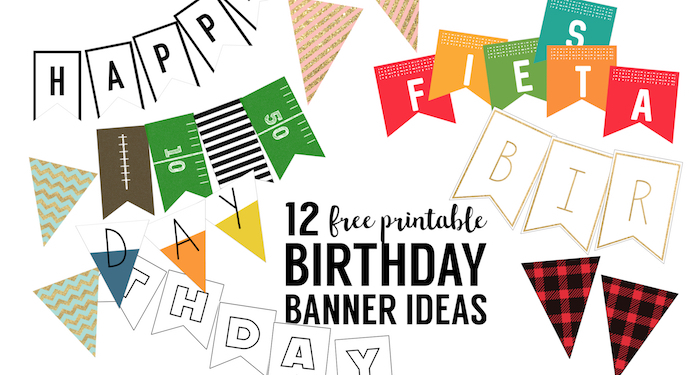 Lots of free printable birthday banner ideas. 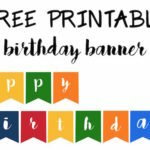 Of course, you could use these banners for other occasions such as baby showers or bridal showers but we decided to do a round-up of all of our best printable birthday banners free for you to use. 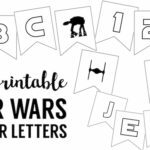 Some of these birthday banner ideas also come with matching printable bottle wrappers, invitations and other goodies that would be with easy birthday decorations for cheap! 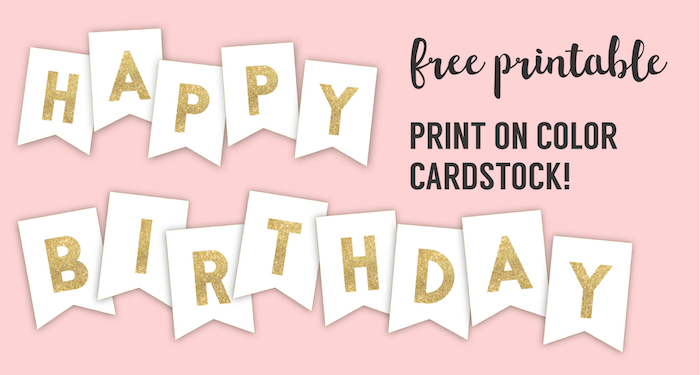 You can print just the gold birthday banner here, or customize your own gold banner here! 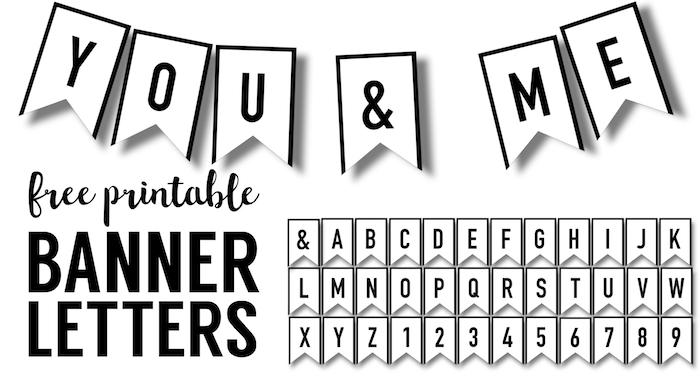 Print these basic black and white banner letters with any message you like just as “Happy 5th”. These are especially nice if you want to save on ink. 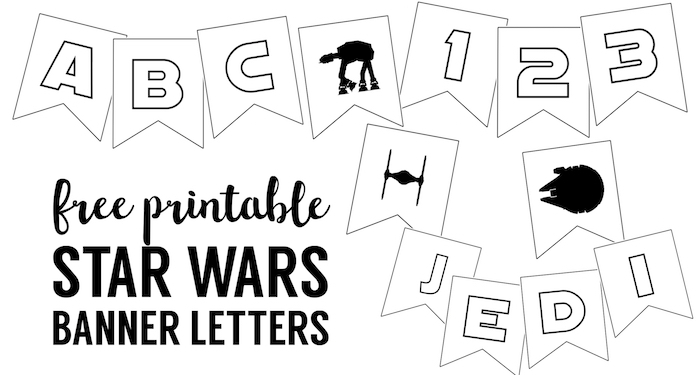 These Star Wars letters are great for a Star Wars birthday party and are also great for saving on printer ink. You can print any message you want because this has the whole alphabet. 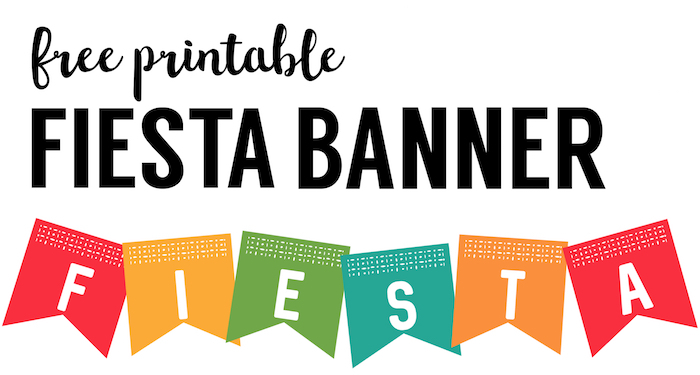 This Fiesta banner is would be great colorful decor for a colorful birthday party. 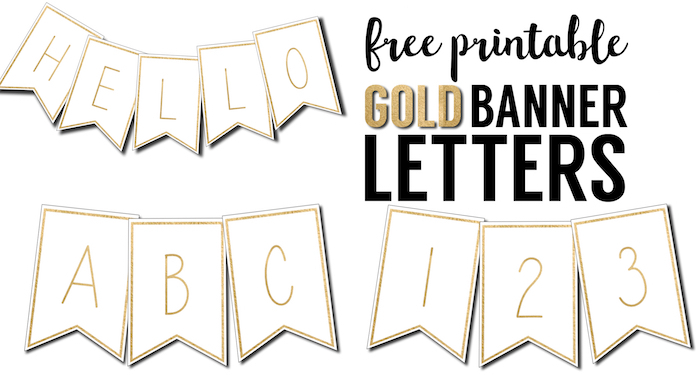 These gold banner letters come with the whole alphabet and have a nice elegant look to them. 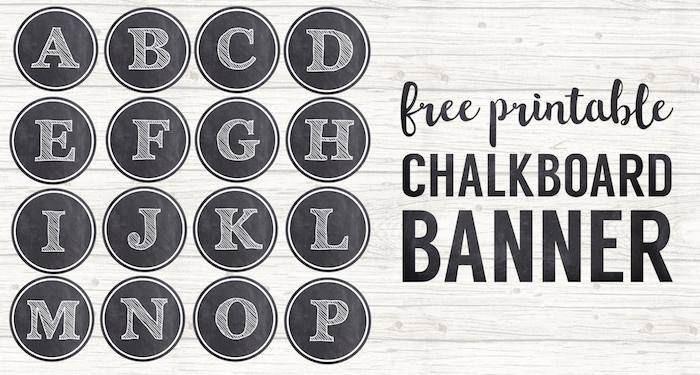 Use this chalkboard banner to write any message you’d like. 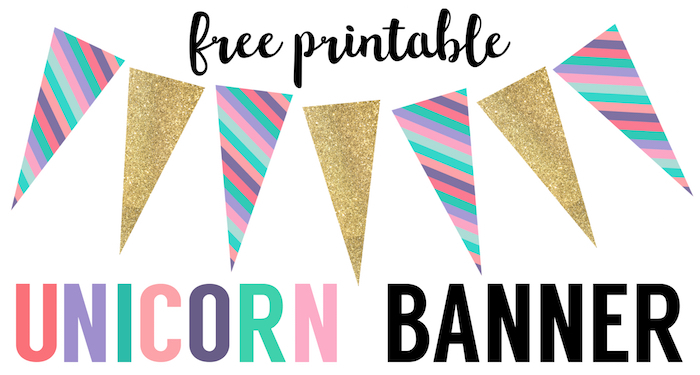 This unicorn banner would be great for a unicorn party. This happy birthday banner looks like it has been dip dyed. 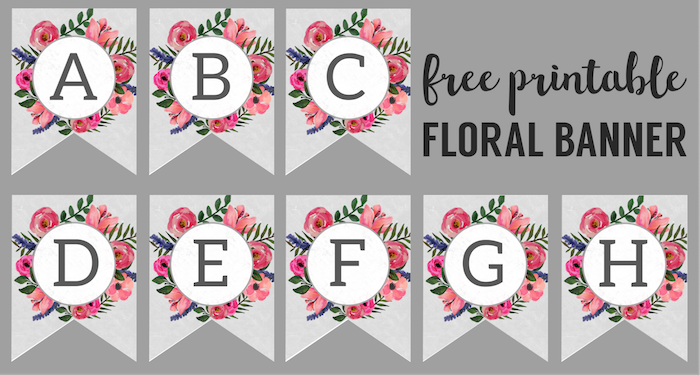 This floral banner can be made into any custom message that you’d like. 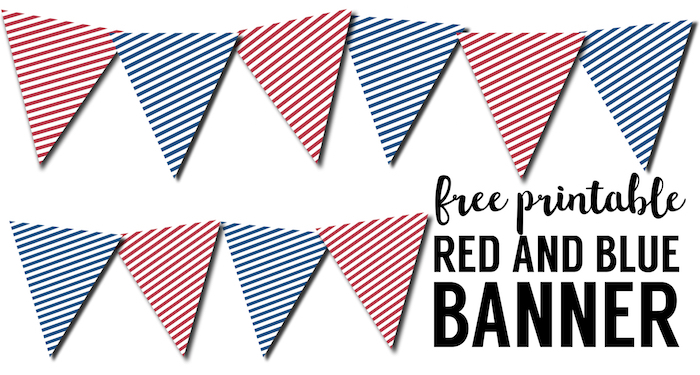 These red and blue striped pennants can add some color to your birthday party. 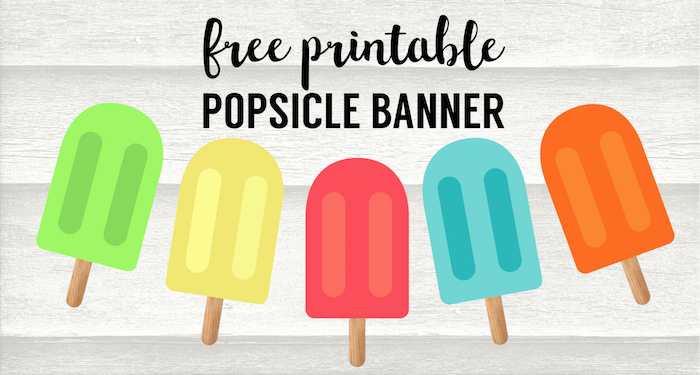 This popsicle banner would be fun decor for a summer birthday or for anyone dreaming of summer on their birthday. 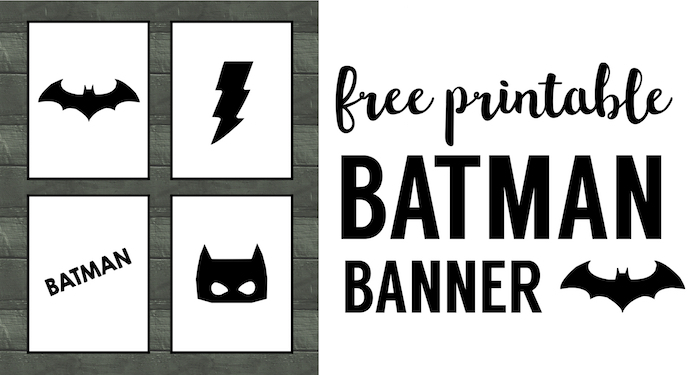 This Batman banner is perfect for a Batman birthday party or comic book or superhero party. 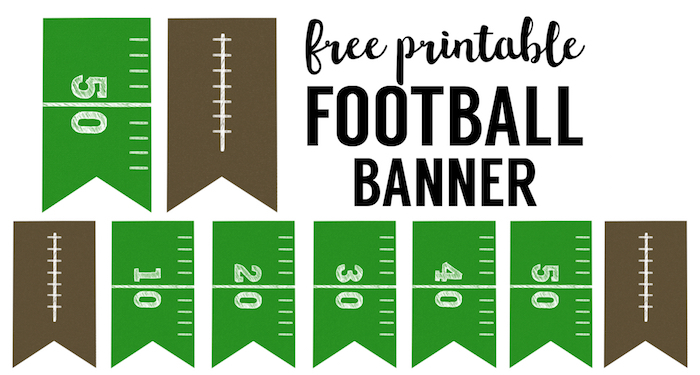 This football banner would be great for a sports themed birthday party. 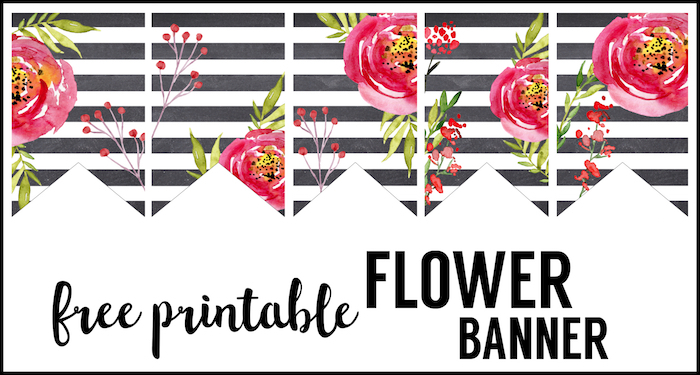 This flower banner would be fun especially at a spring birthday party. 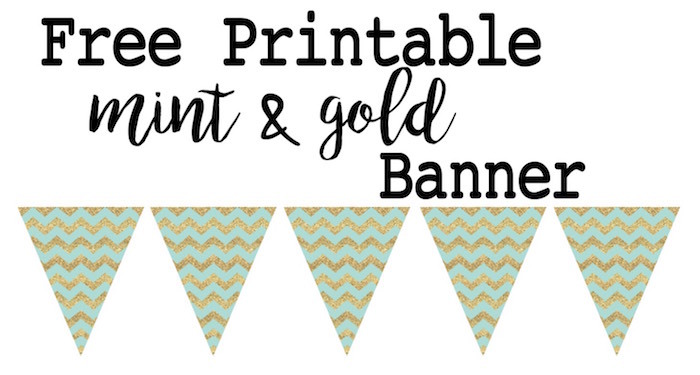 This mint and gold banner is a fun color combination. 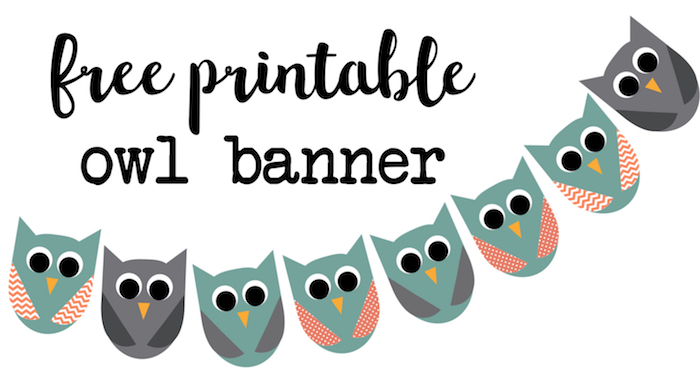 If you want to throw an owl themed party is owl banner is adorable. 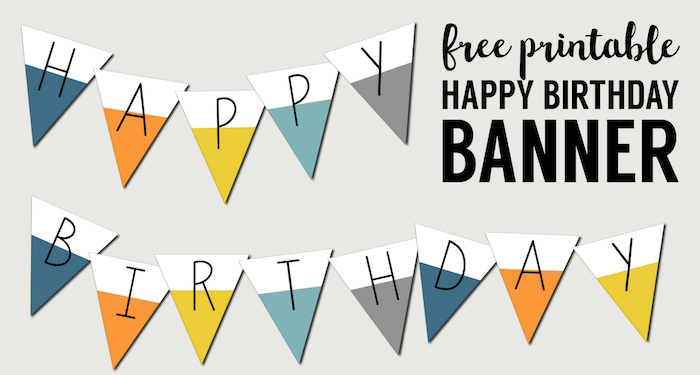 Here’s a fun colorful happy birthday banner. 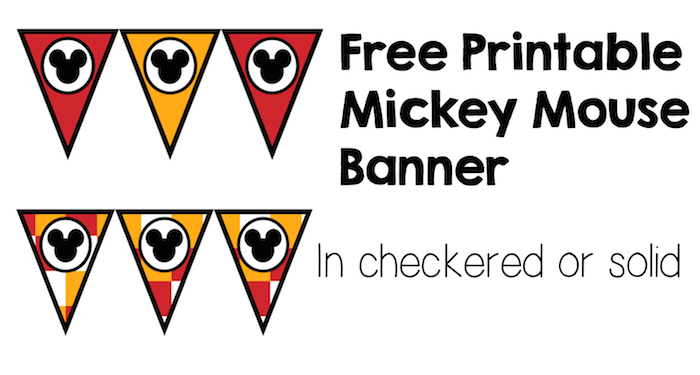 This Mickey Mouse banner is fun for a Mickey Mouse birthday. 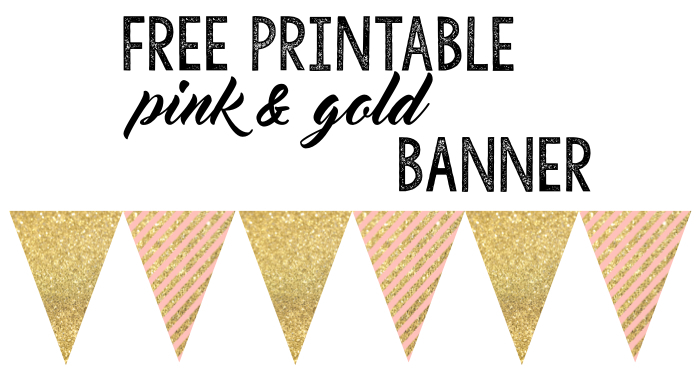 This pink and gold banner has been one of our most popular printables at Paper Trail Design for over a year. 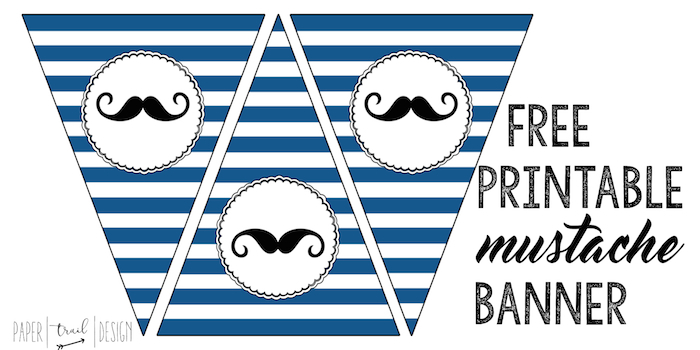 This mustache banner would be fun for a mustache themed birthday party or for a little boy’s first birthday. 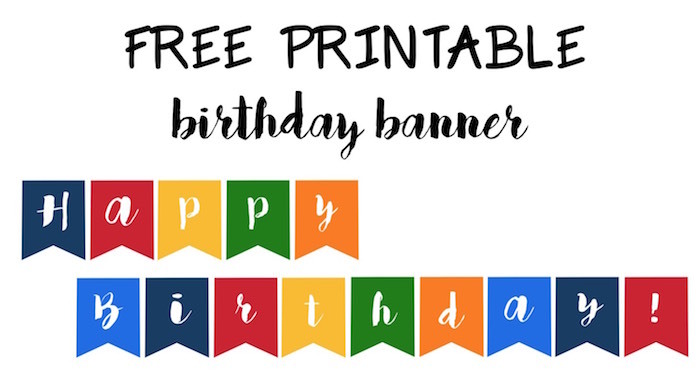 Don’t forget to check out PicMonkey a free website where you can easily customize these Free Printable Birthday Banner Ideas. If you want a little more guidance then check out our tutorial on how to use picmonkey.